After a busy December, I’ve been looking forward to the Christmas break for ages. A chance to escape the craziness of the daily routine and all the extra things you have to squeeze in in the build up to the festivities. 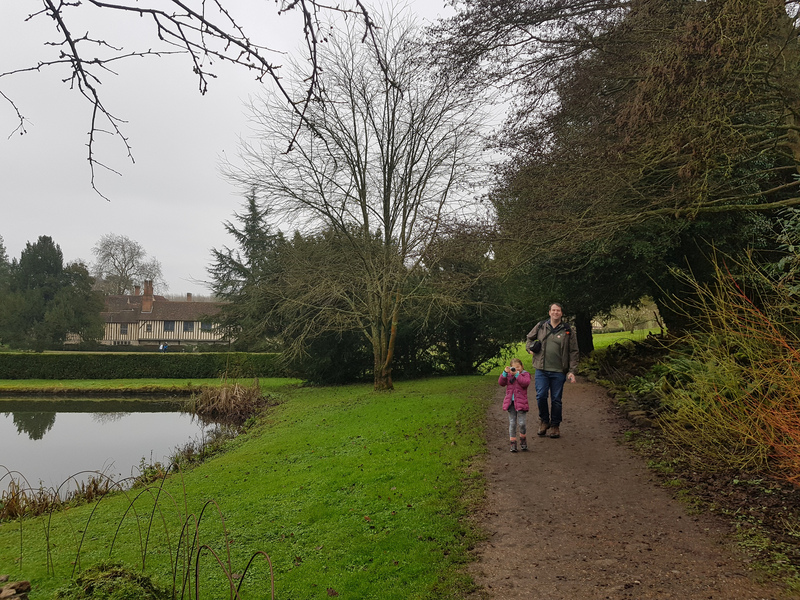 In the peaceful few days between Christmas and New Year, I was keen to get out of town and spend some time outdoors with my family – so on Boxing Day, we piled into the car and headed to a local National Trust site we’ve had on our wish list for ages – Ightham Mote. 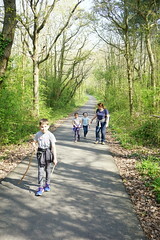 Just an hour from our home in South East London, it felt like another world. 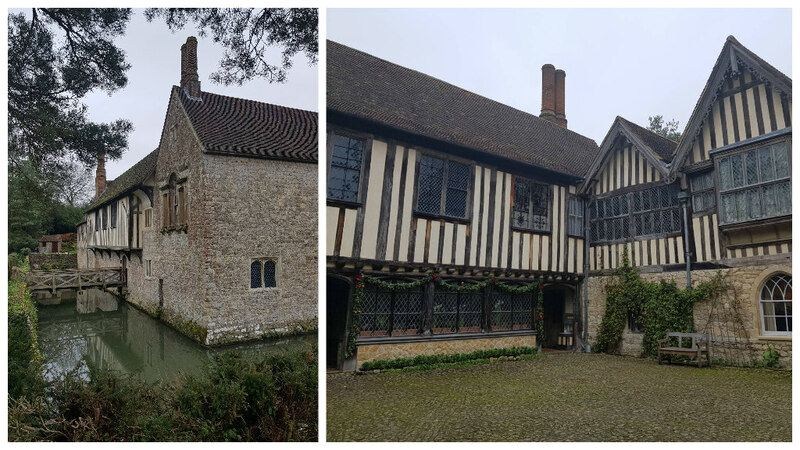 A moated manor house from the 14th century, it was absolutely beautiful. 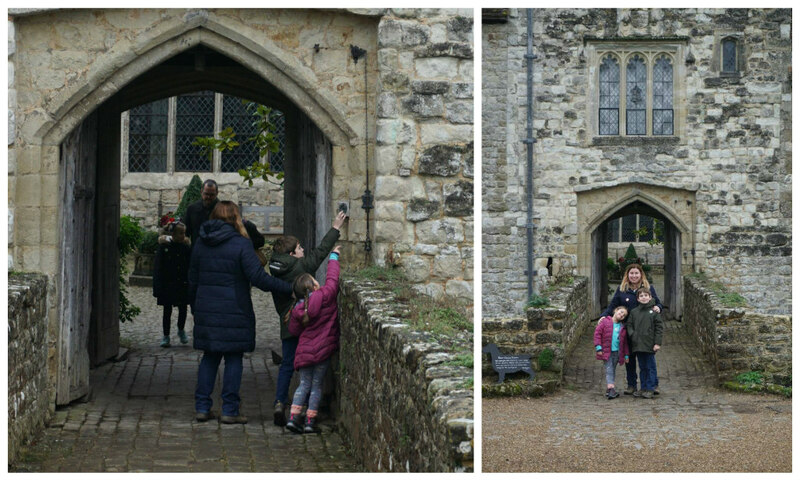 We headed straight for the bridge over the moat to look inside. The children hopefully rang the doorbell but found the door wide open for them! 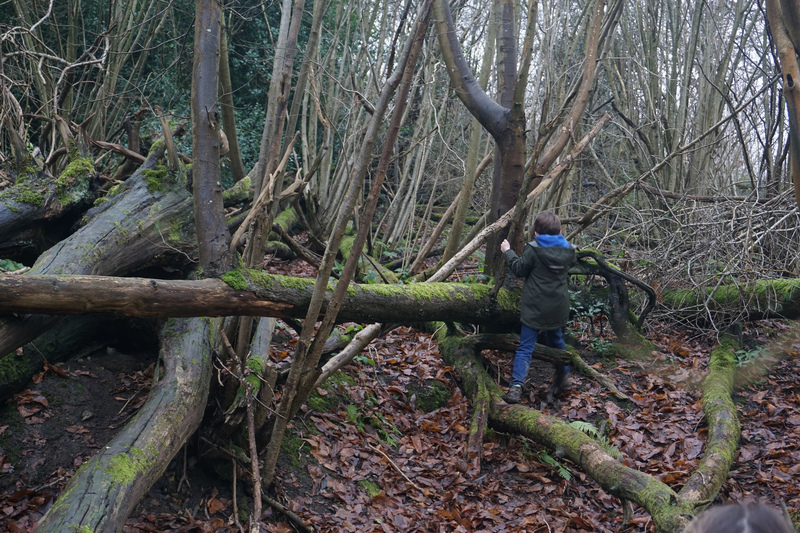 Alex decided that the moat was filled with 43 crocodiles, although we didn’t spot any on our visit! Instead, we found a pretty courtyard with festive decorations and lush planters everywhere. 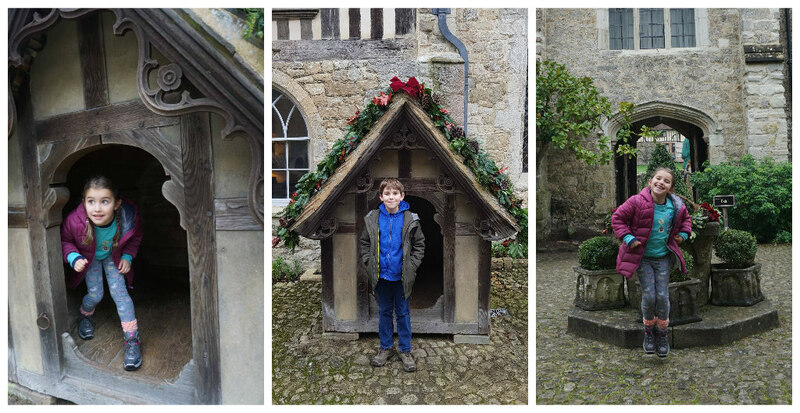 The children both adored the ornate dog kennel! Some of the downstairs rooms were restored and open to the public, so we popped inside to have a look. 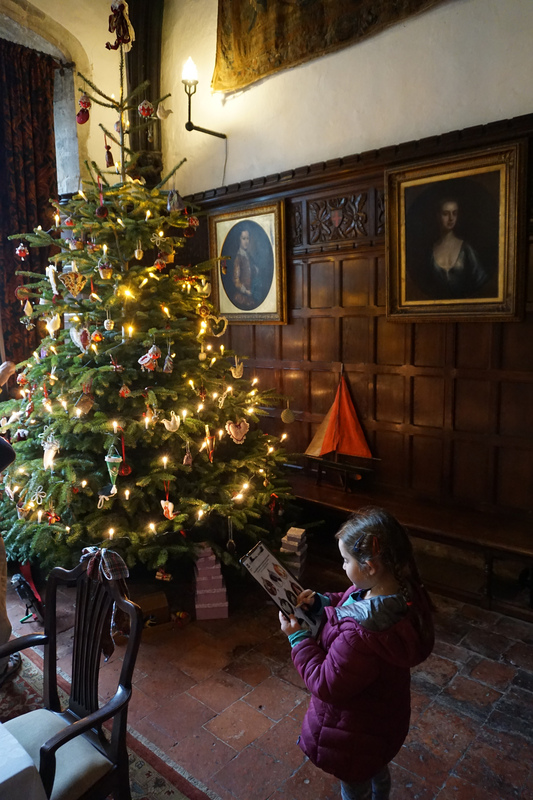 As usual the National Trust were welcoming for little ones, and Alex and Sophie soon found themselves engrossed in a trail around the house searching for items in each of the rooms. 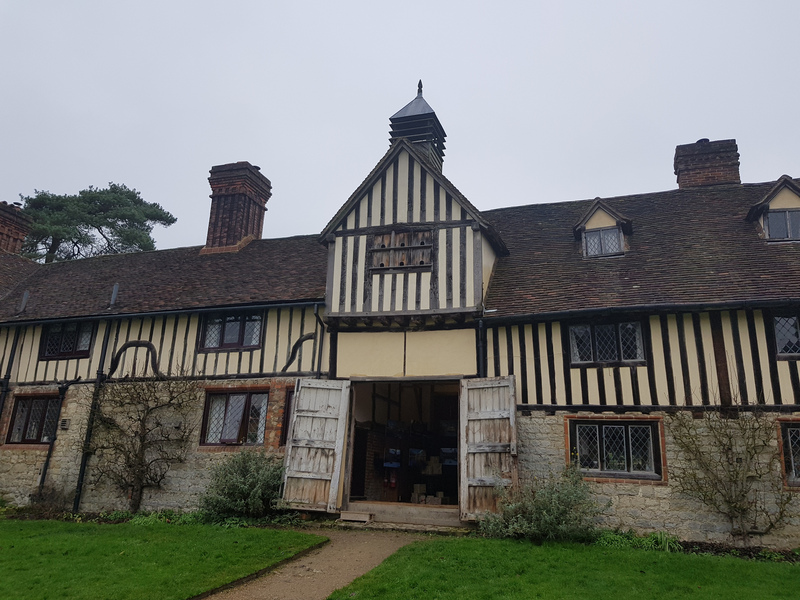 Part of the house was decorated for a Victorian Christmas, and the rest was a 1950s New England Christmas, reflecting some of the different owners of Ightham Mote. The children particularly enjoyed spotting the different between the style of celebrations. Here’s Sophie in the Victorian hall. 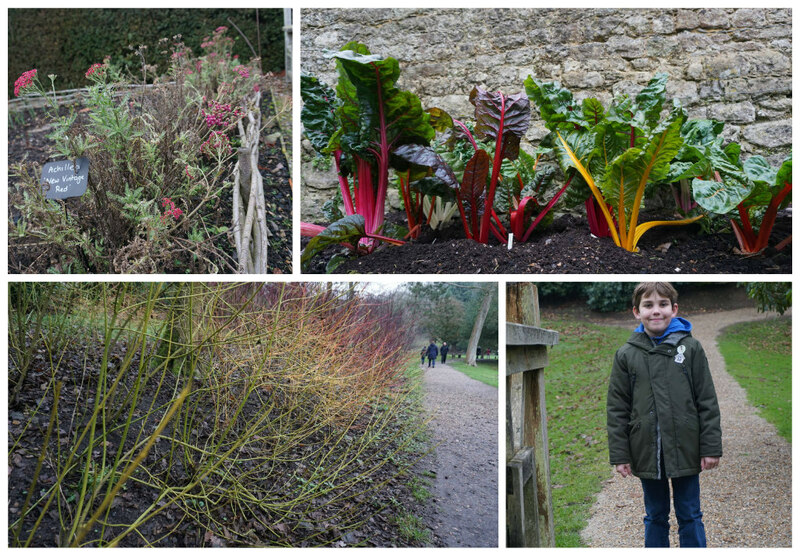 After a spot of lunch in the cafe, we headed outside to explore the gardens and the wider estate. 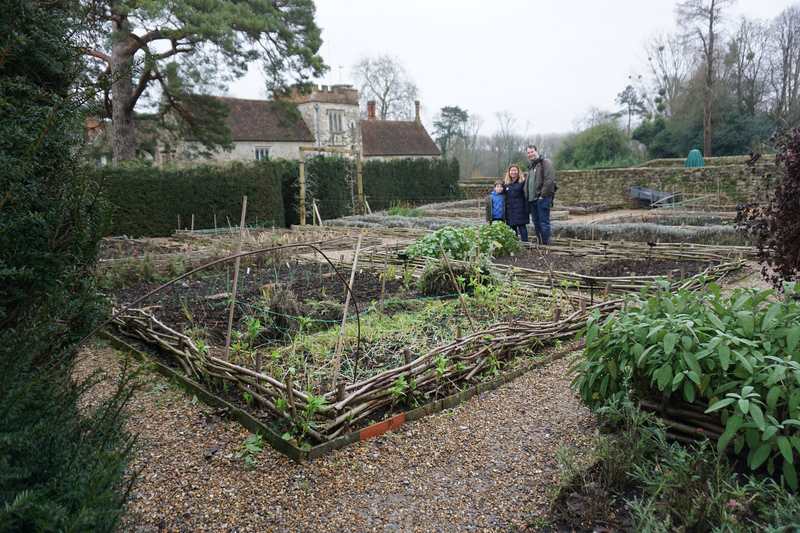 Sophie decided she wanted to be the official photographer, so we let her capture the kitchen gardens! Here she is, camera in hand! 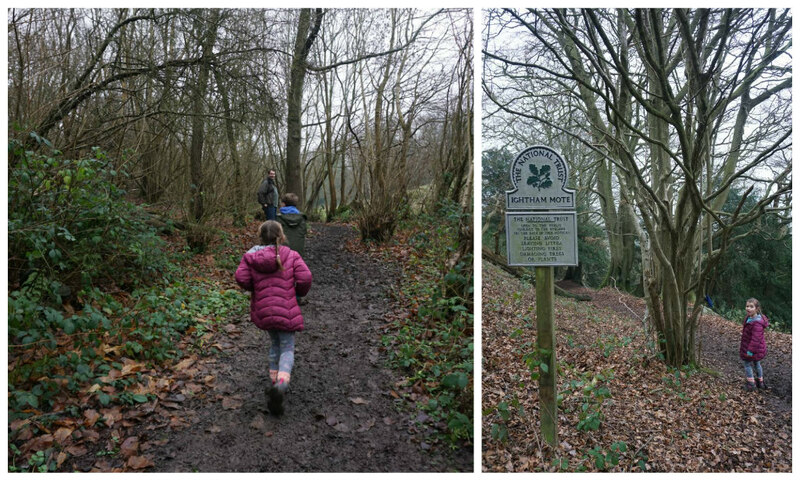 We’d picked up a leaflet of walks around the estate, and opted for a 4km circuit. 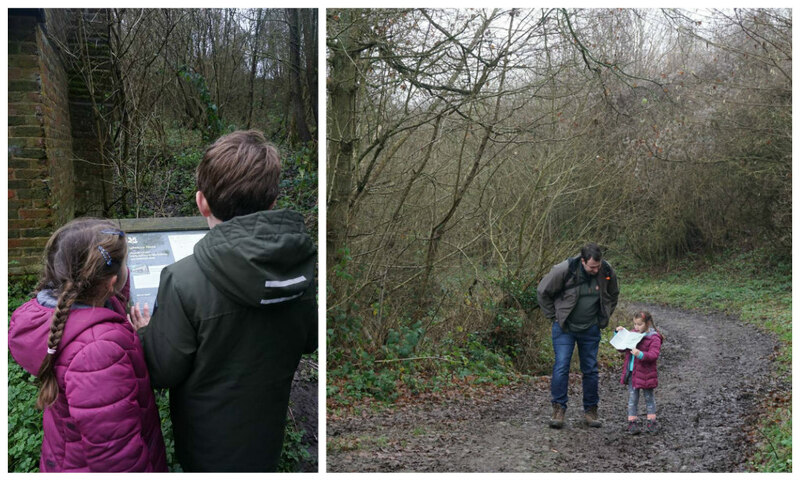 The children took it in turn to be in charge of the route map, and were able to follow our progress past hoppers huts, ponds and woodlands. 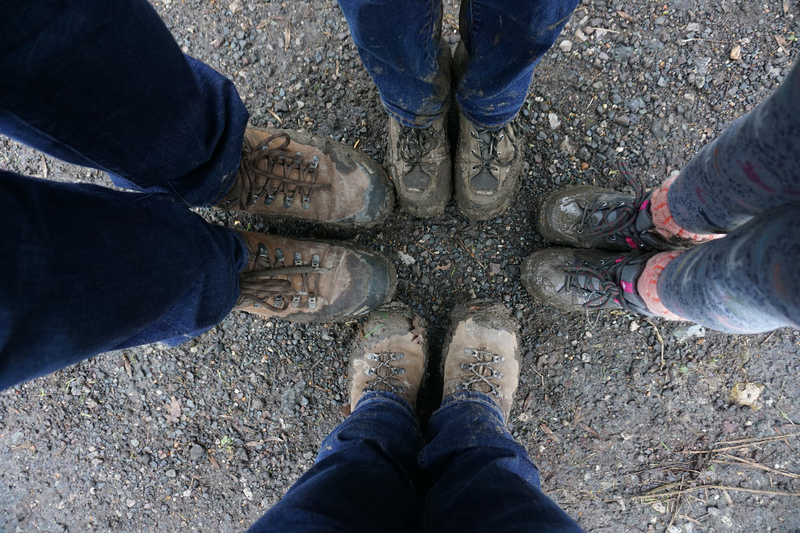 Our pictures don’t quite capture the incredible amount of mud that we found on about half of the route! 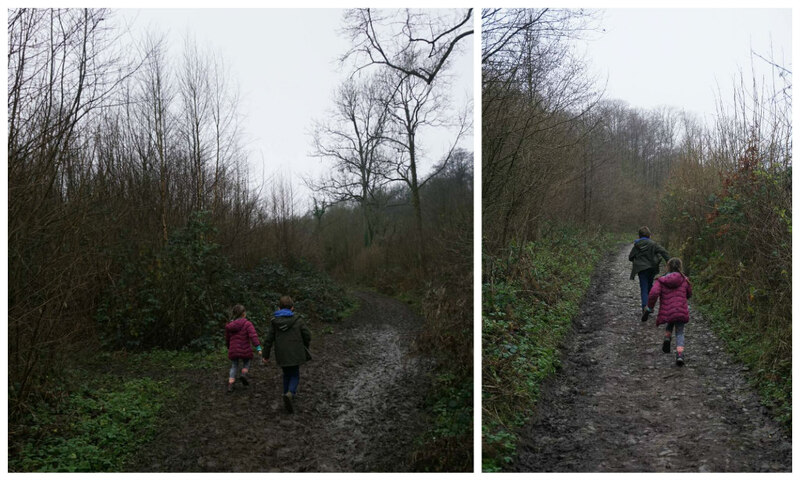 It made for some quite sticky and challenging walking – although the kids found it hilarious, and avoided the easy routes in favour of the squelchiest path! 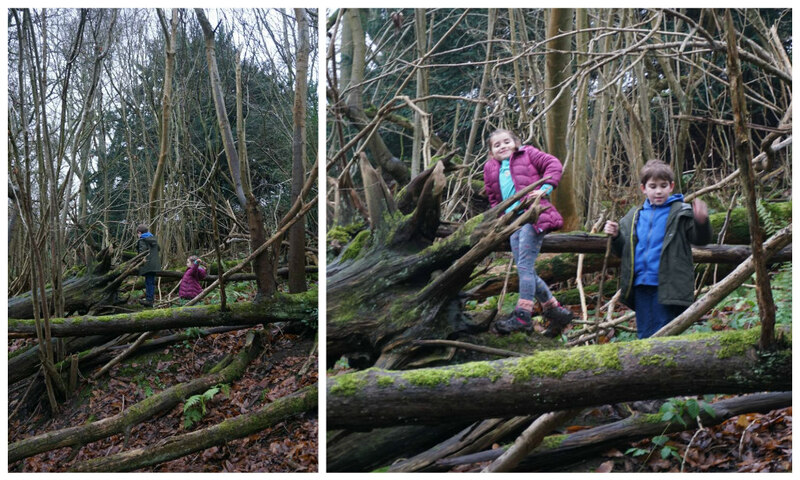 As we reached the furthest point from the house, it finally eased off a bit so we could make quicker progress – but not before we stopped for a spot of climbing! 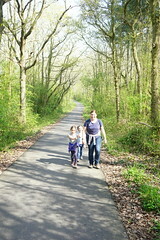 Soon we were back on the path walking through pretty woodland. 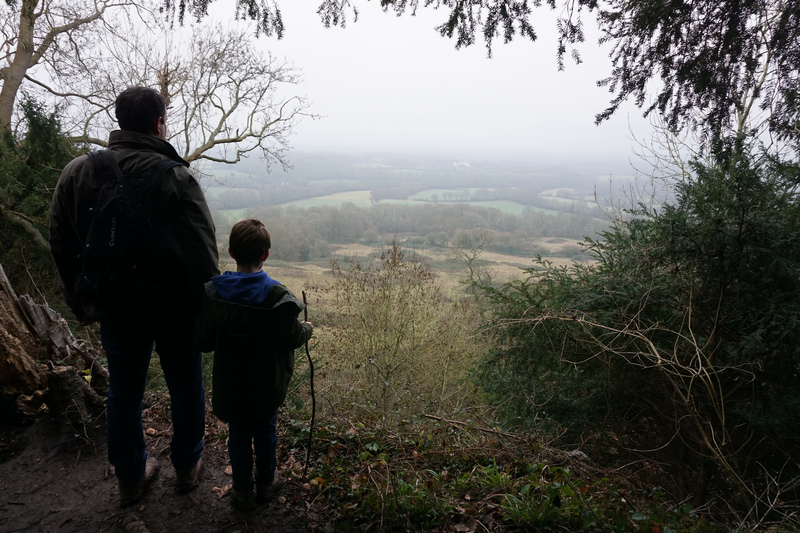 As we headed back towards the car, the views opened up and we could see oast houses and other beautiful homes appear through the mist. 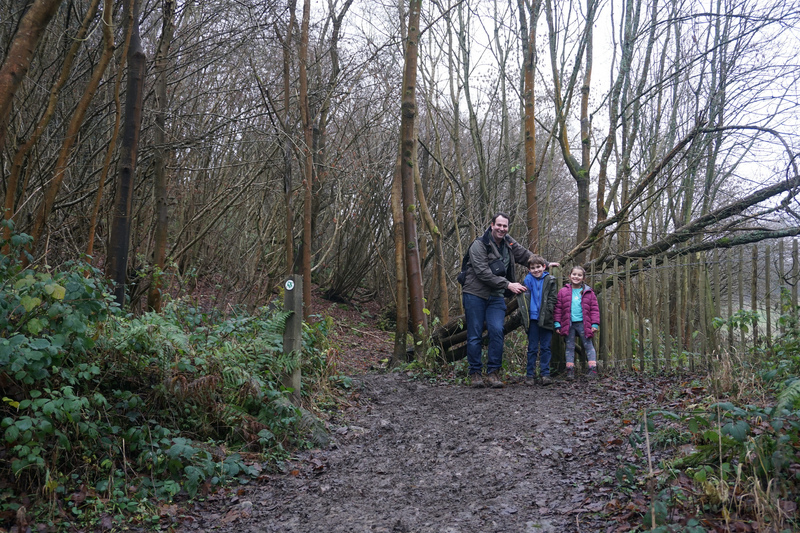 It wasn’t a long walk, but just right for Boxing Day to blow the cobwebs away and start working off the huge amount of food we’d eaten the previous day! 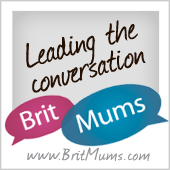 Was one of our favourites before we moved up to Cumbria!! !